World Cancer Day takes place each year on February 4, providing the platform for the world to unite and raise the profile of cancer in a positive and inspiring way. All it takes is one step at a time to help cancer Survivors who need practical help and sometimes, a shoulder to lean on. We believe that a balanced lifestyle is key to lowering personal cancer risk and raise awareness through monthly health campaigns as well as educating about the importance of knowing the symptoms of cancer, as well as going for regular screening and health checks. It’s not just about walking. Almost without exception, each participant is affected by cancer in some way. 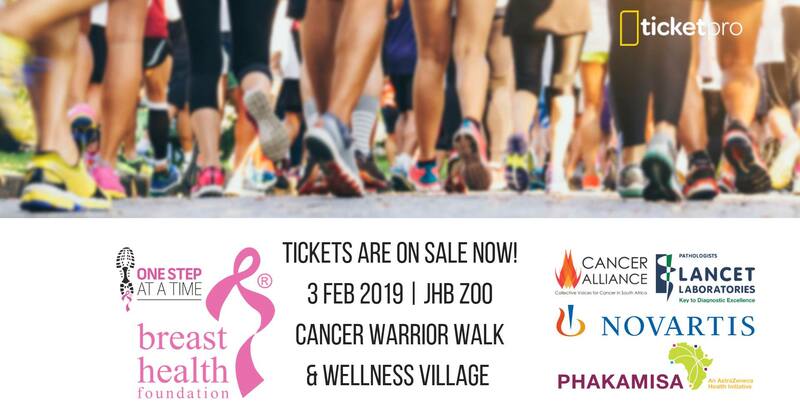 Come and visit us at our CANSA stand – this is your way of making a difference for cancer Survivors and finding out more about lowering your cancer risk and pledging to raise awareness and join the global efforts. Help CANSA to continue our vital services so that we can help to build a world without cancer through enabling research, providing education as well as care and support programmes. #IAmAndIWill #WorldCancerDay – show the world that we can, I can… get involved in the fight against cancer.